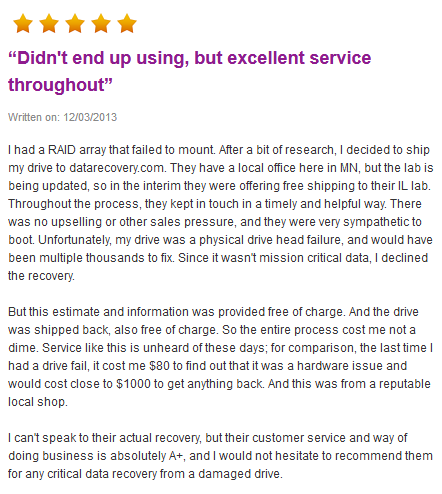 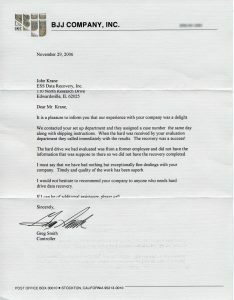 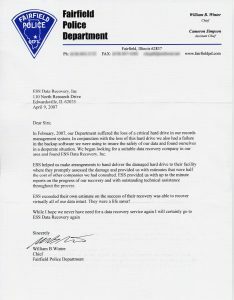 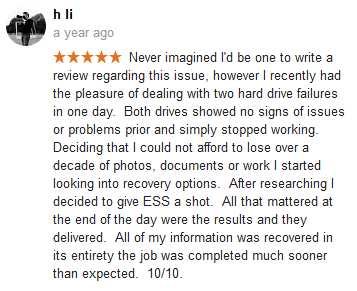 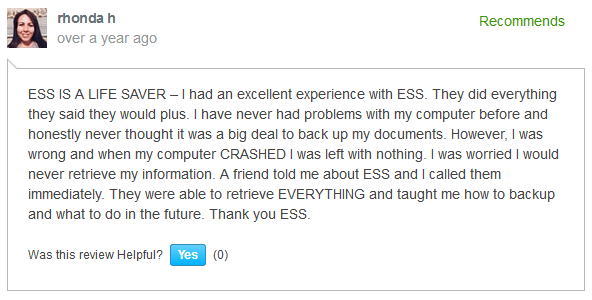 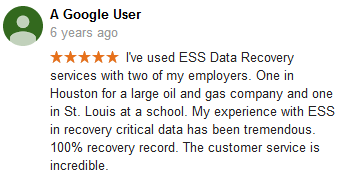 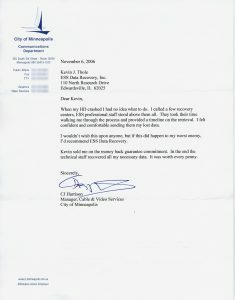 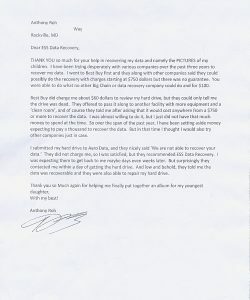 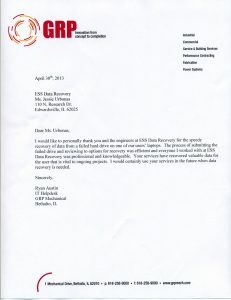 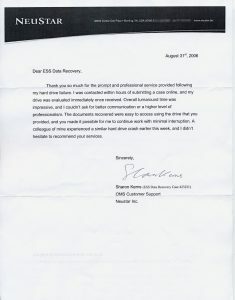 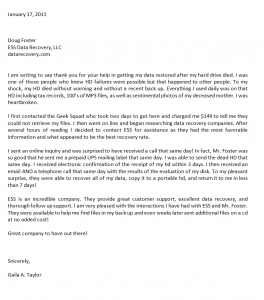 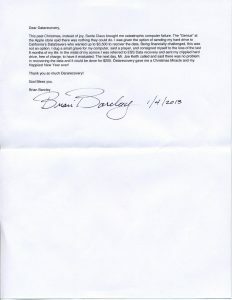 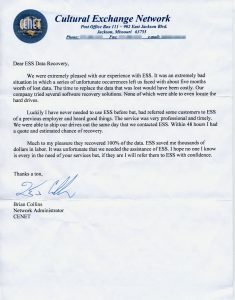 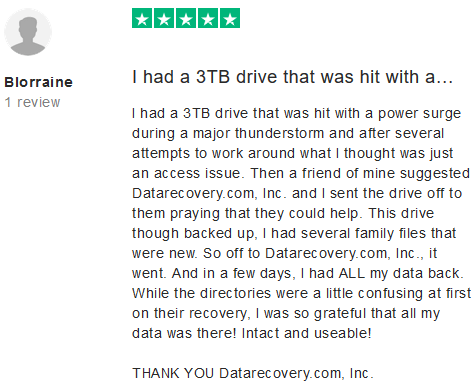 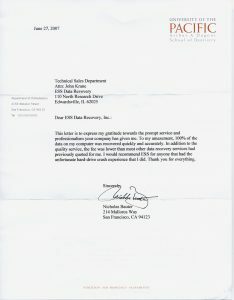 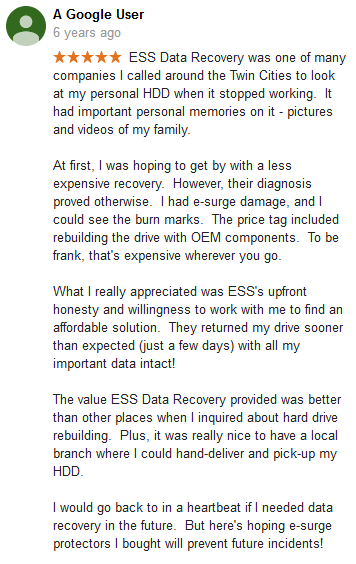 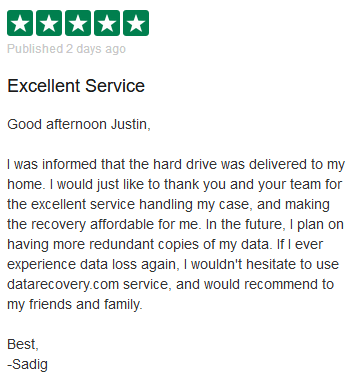 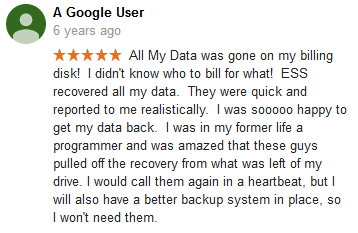 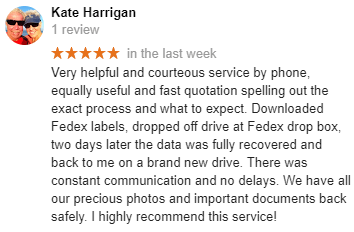 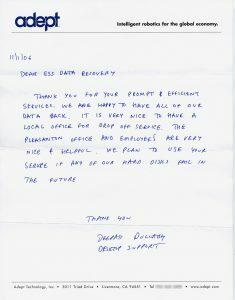 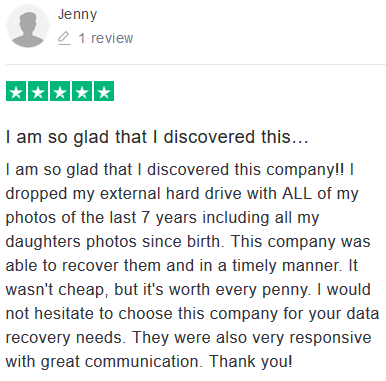 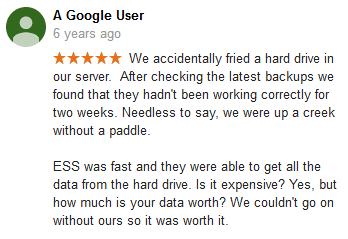 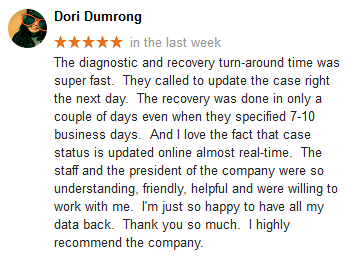 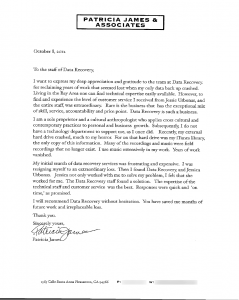 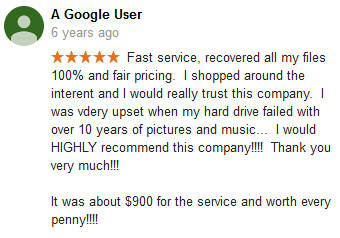 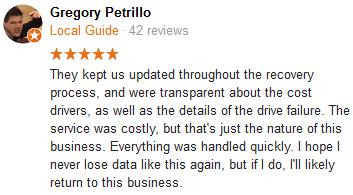 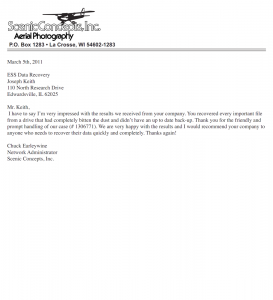 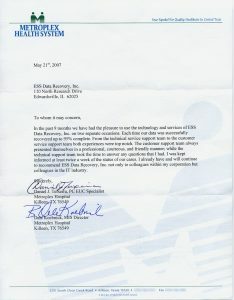 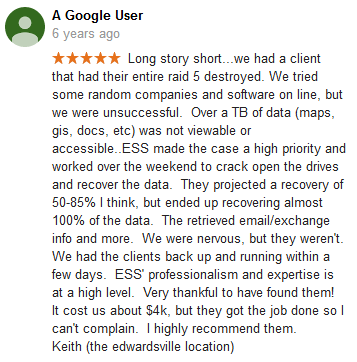 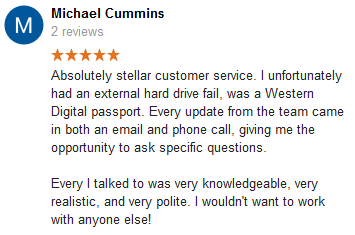 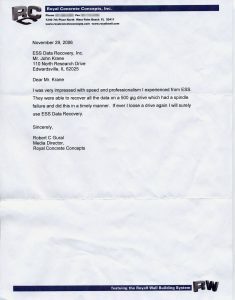 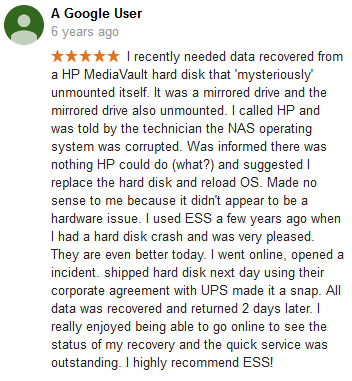 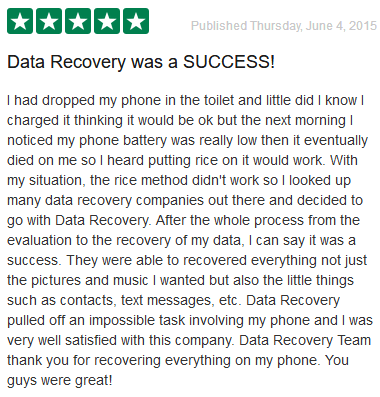 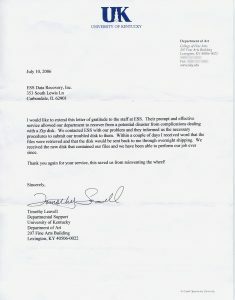 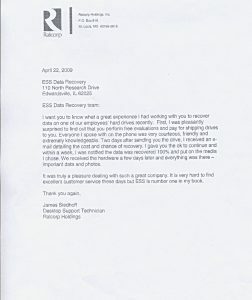 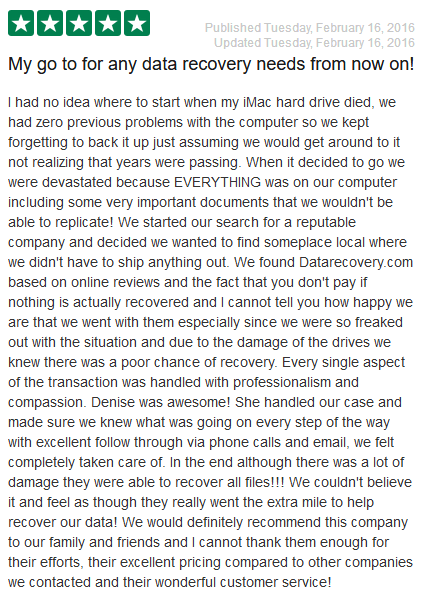 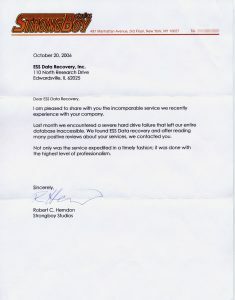 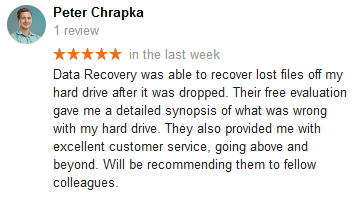 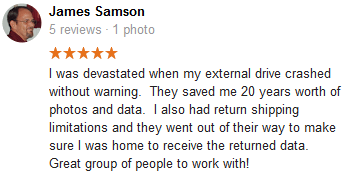 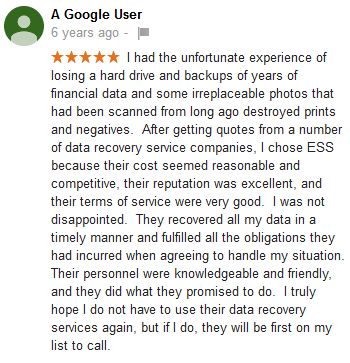 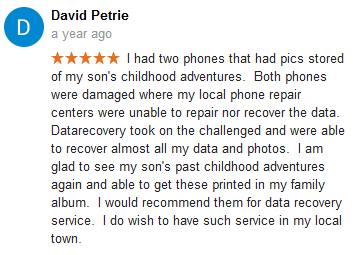 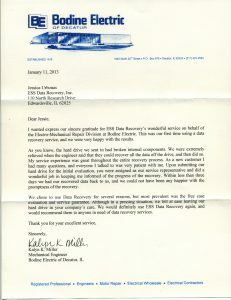 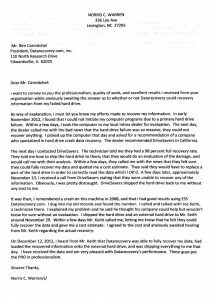 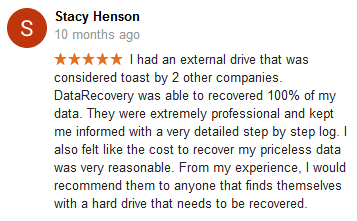 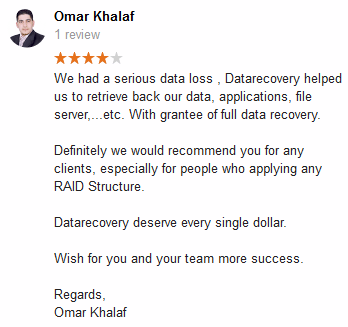 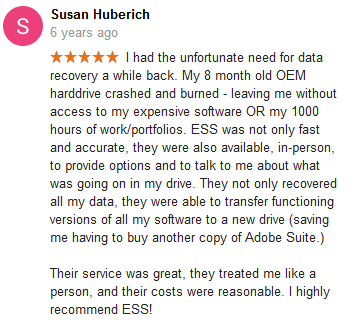 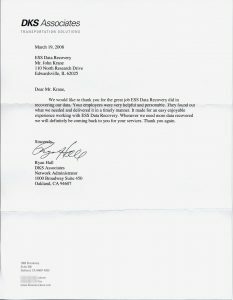 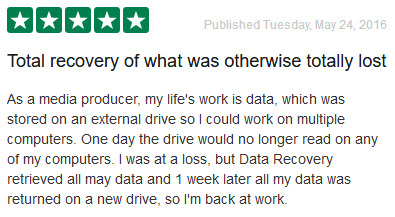 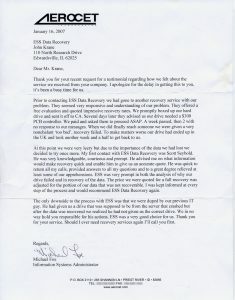 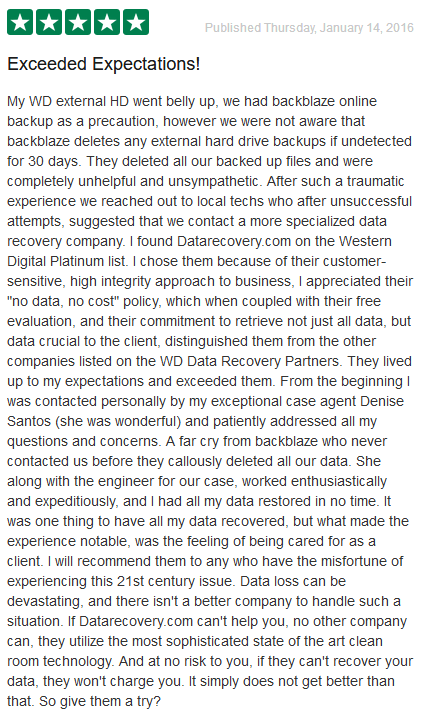 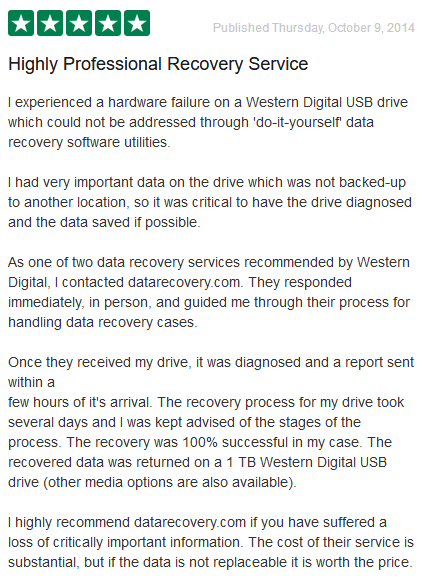 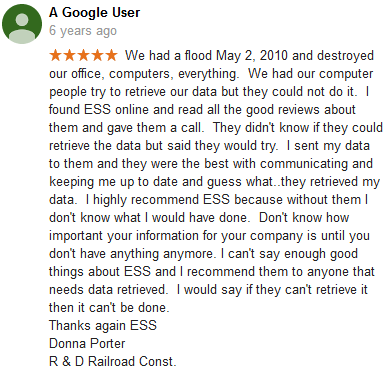 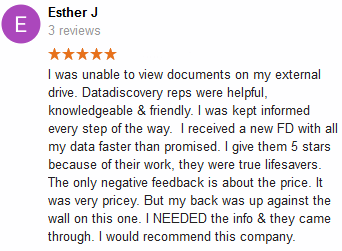 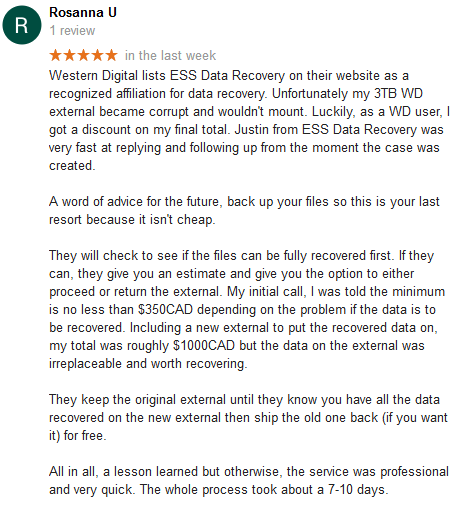 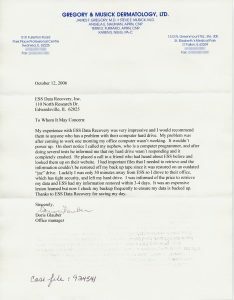 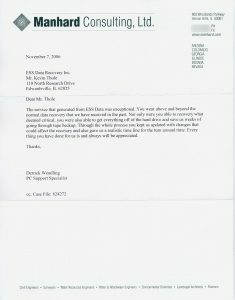 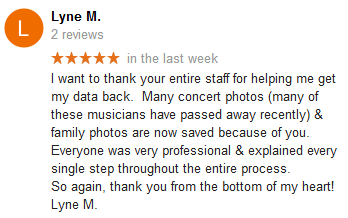 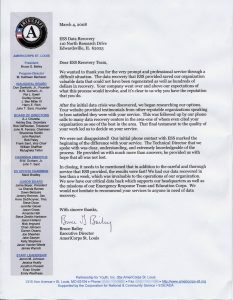 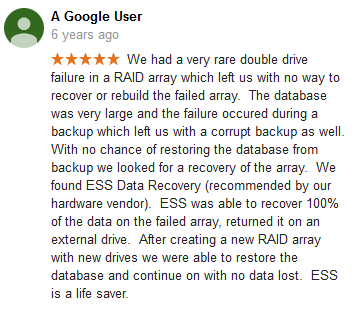 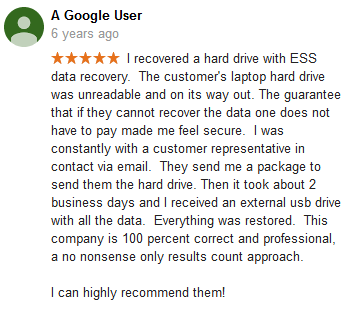 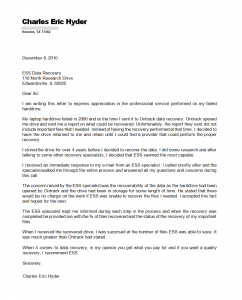 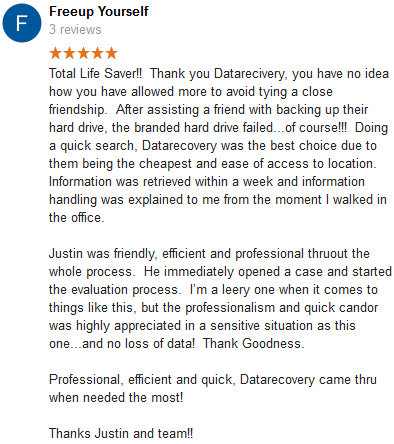 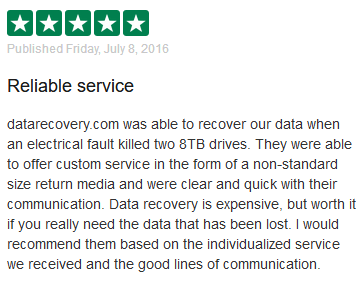 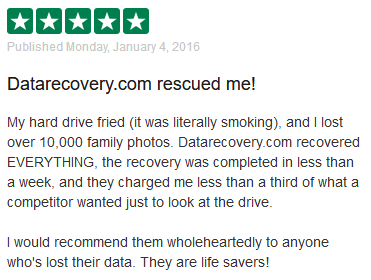 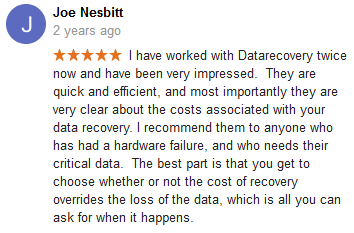 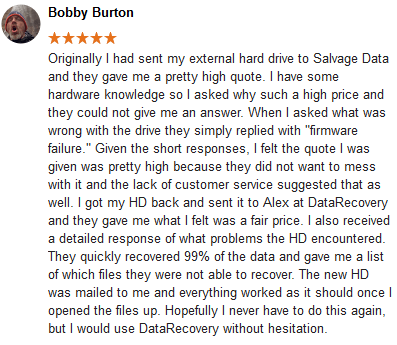 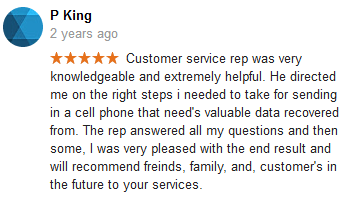 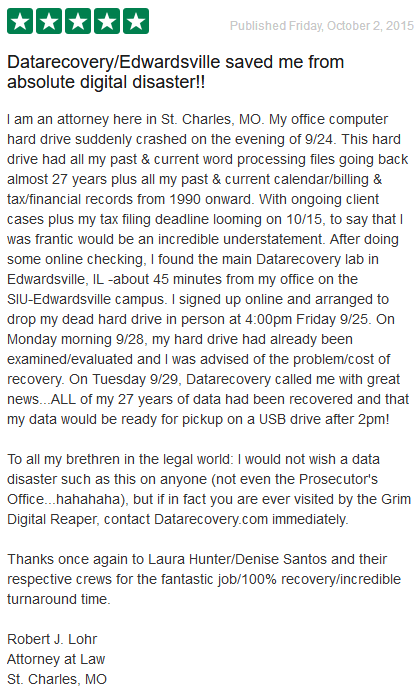 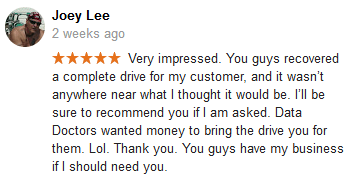 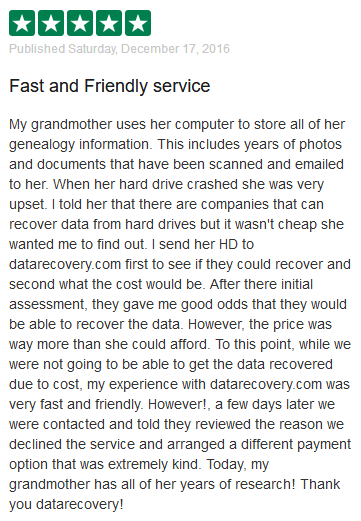 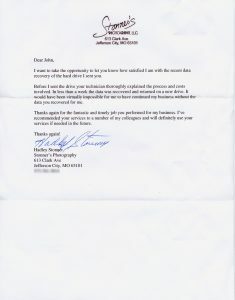 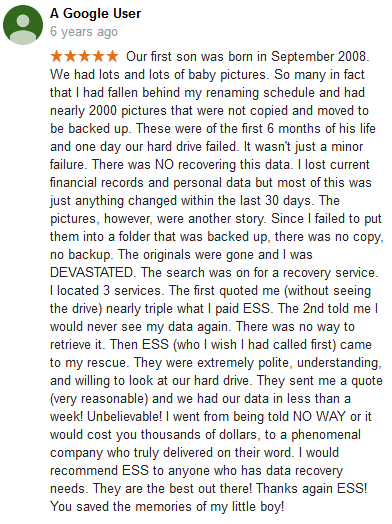 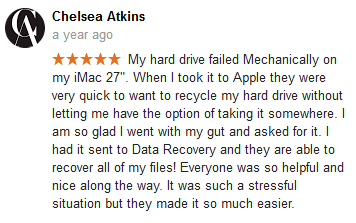 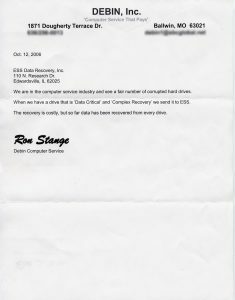 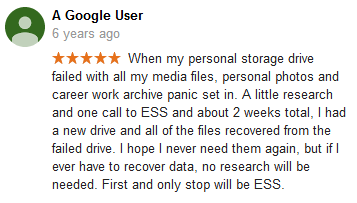 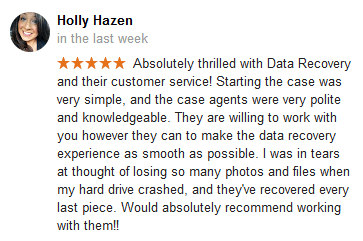 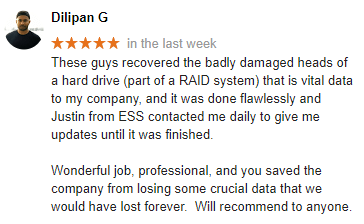 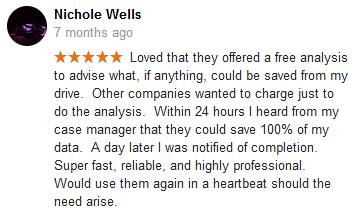 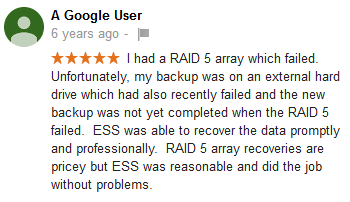 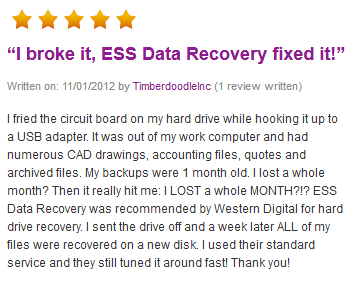 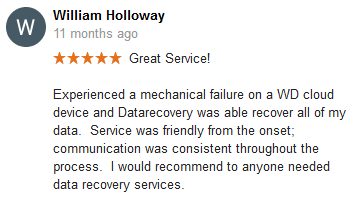 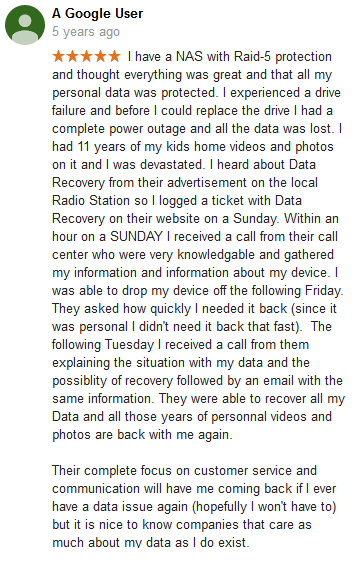 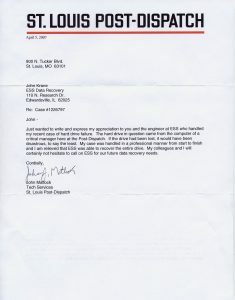 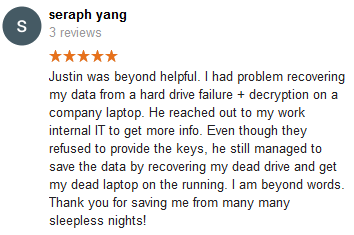 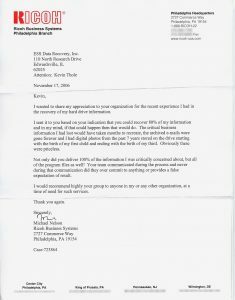 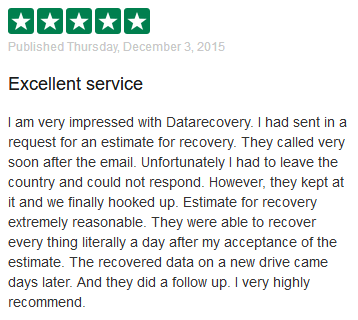 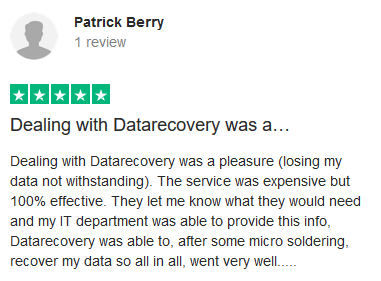 What are other customers saying about Datarecovery.com ? 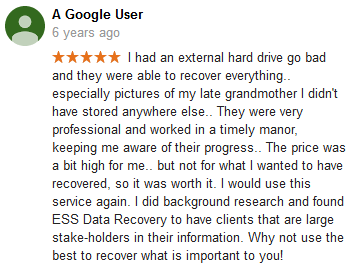 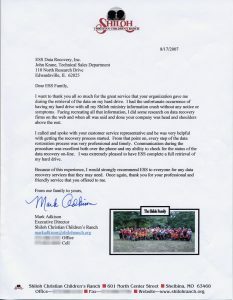 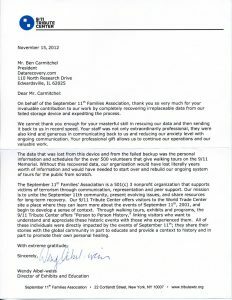 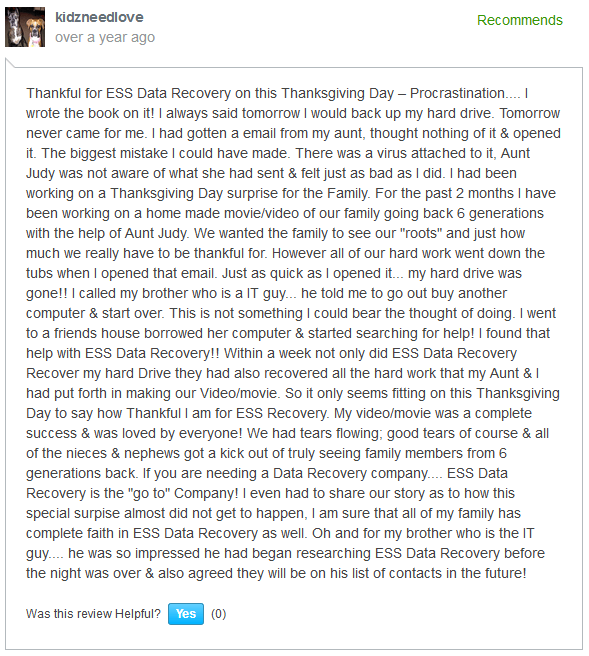 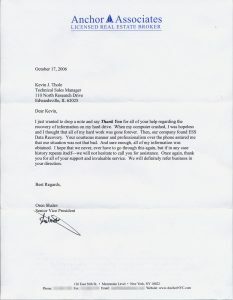 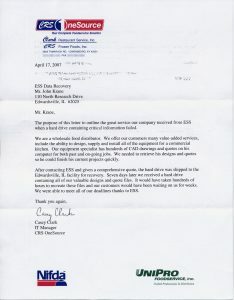 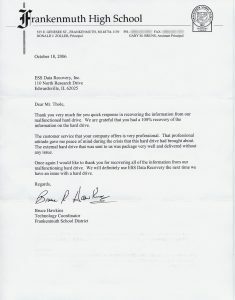 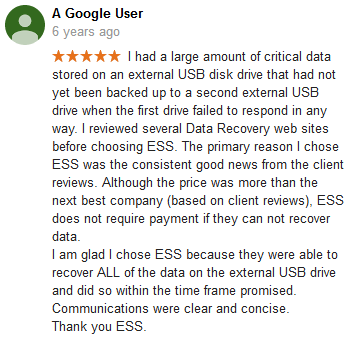 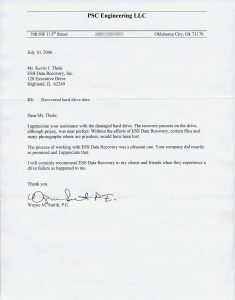 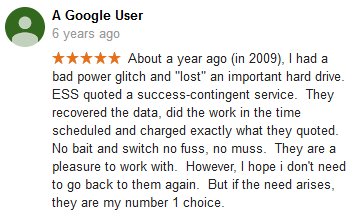 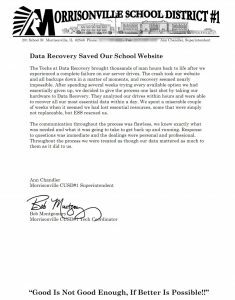 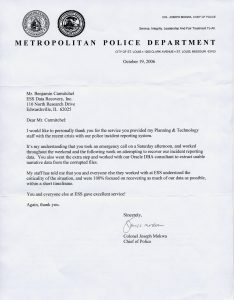 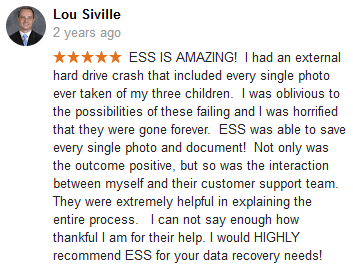 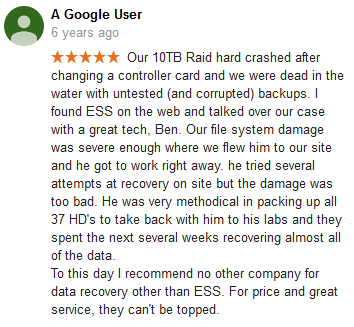 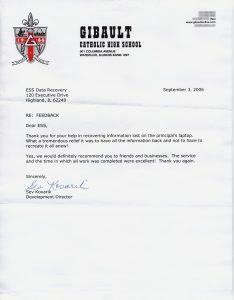 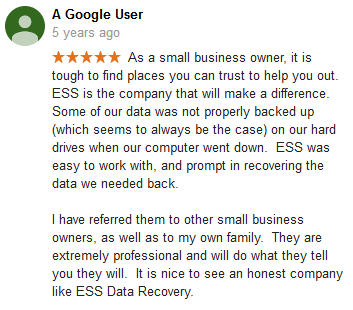 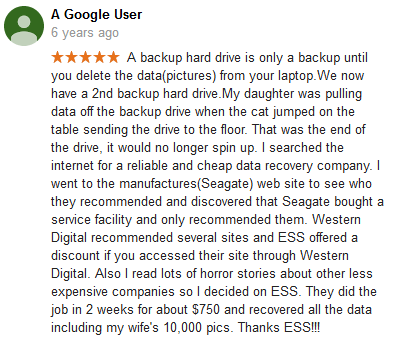 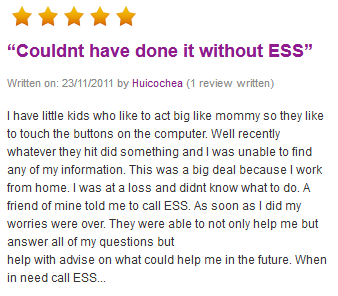 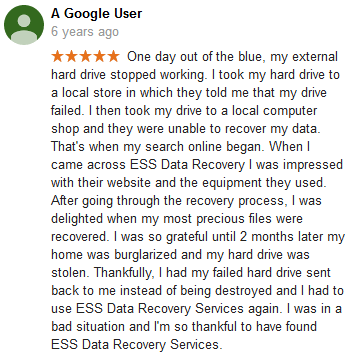 One of the best ways decide about which data recovery firm to use is to read what others are saying. 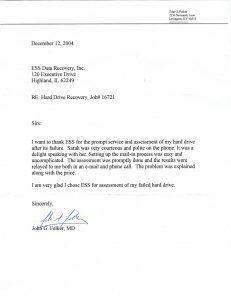 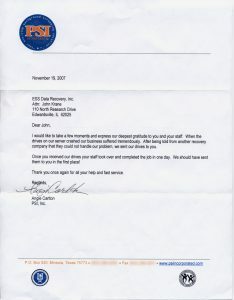 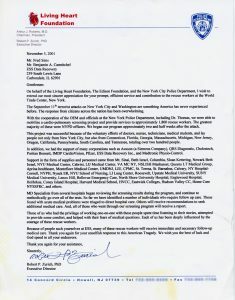 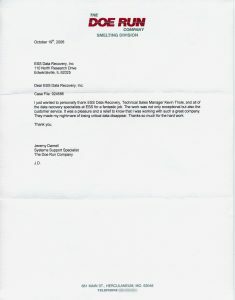 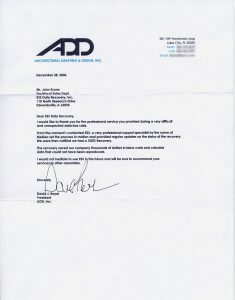 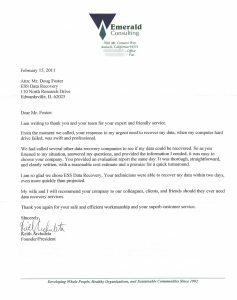 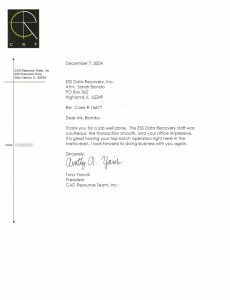 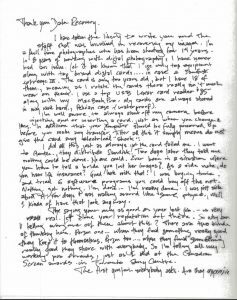 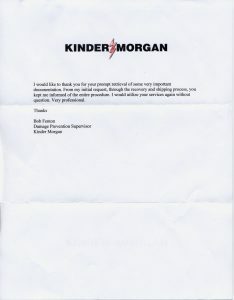 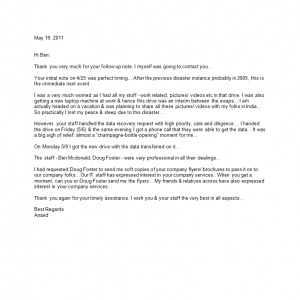 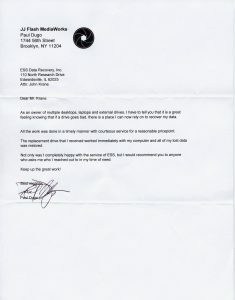 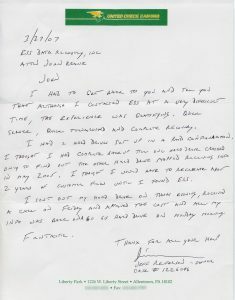 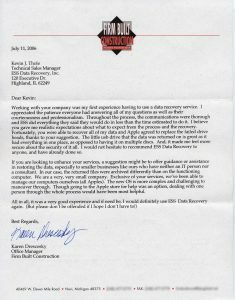 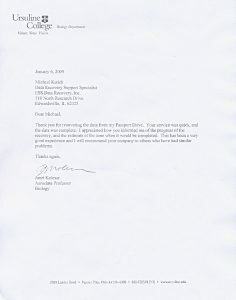 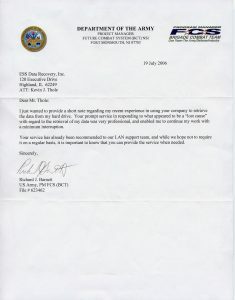 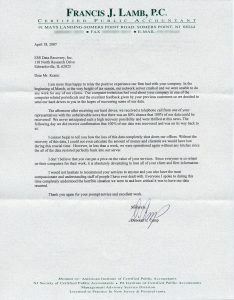 Sites like Google Reviews, Yelp and Trustpilot are great sources, but physical letters of recommendation are also a great resource. 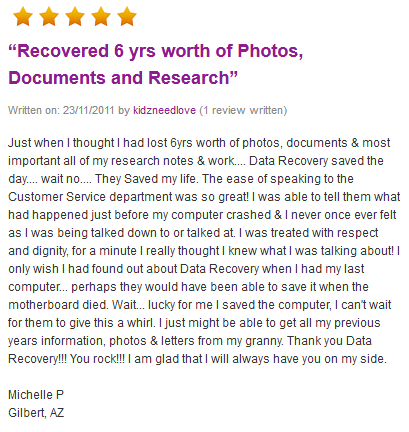 Below you will find links to hundreds of reviews and dozens of letters of recommendation and testimonials. 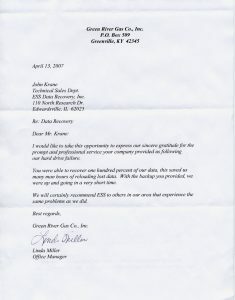 Green River Gas Co., Inc. 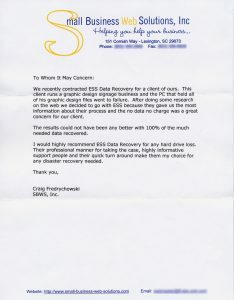 Architectural Drafting & Design, Inc.
Gregory & Musick Dermatology, Ltd.
Small Business Web Solutions, Inc.